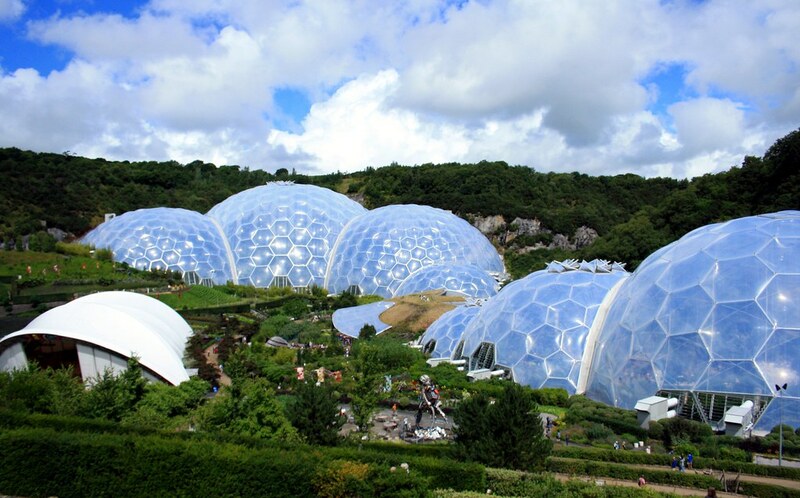 The Eden Project is a visitor attraction in Cornwall, UK, and it is home to the world’s largest greenhouse. 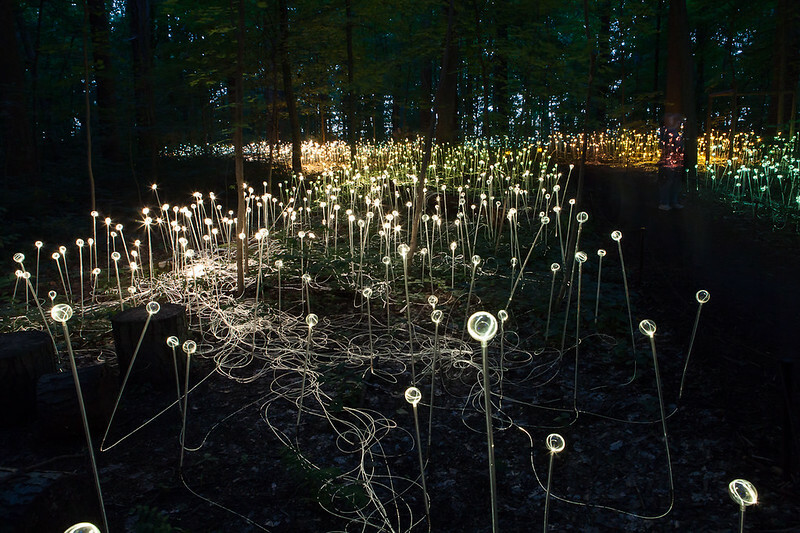 Inside the artificial biomes are plants that are collected from all around the world. 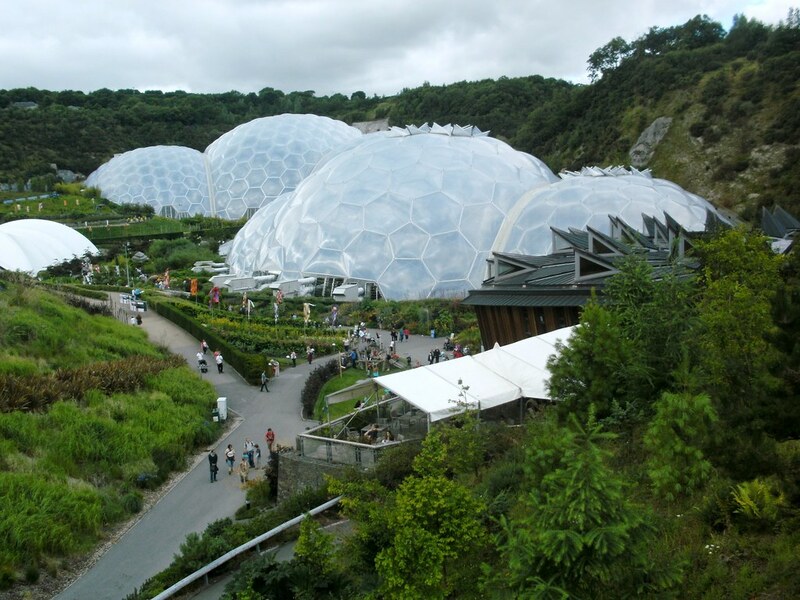 The project is located in a reclaimed Kaolinite pit (clay China), located 1.25 mi (2 kilometres) from the town of St Blazey and 5 kilometres (3 mi) from the larger town of St Austell, Cornwall. 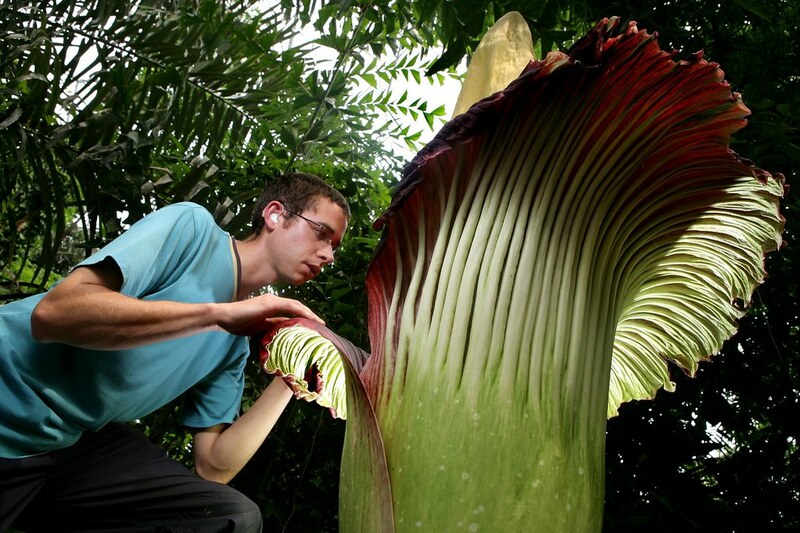 The complex is dominated by two huge enclosures consisting of adjoining domes that house thousands of plant species. Each enclosure emulates a natural biome. The first dome emulates a tropical environment, and the second a Mediterranean environment. The domes consist of hundreds of hexagonal and pentagonal, inflated, plastic cells supported by steel frames. Below you will find pictures of this incredible place along with the history of the project and some of its key features. Enjoy! 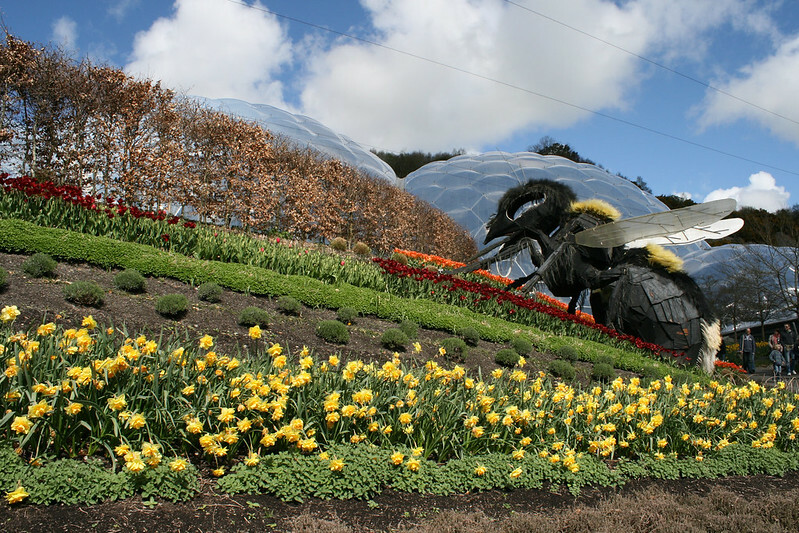 And be sure to check out edenproject.com for all visitor and event information. 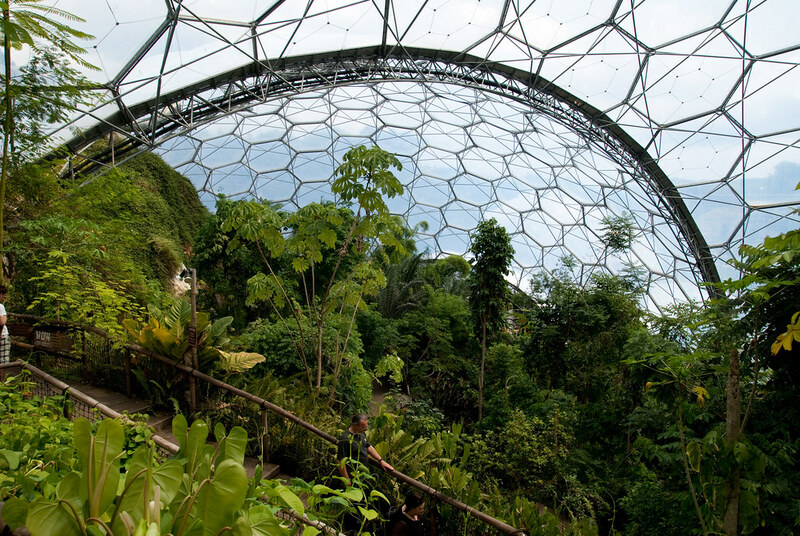 The Tropical Biome, covers 1.56 hectares (3.9 acres) and measures 55 metres (180 ft) high, 100 metres (328 ft) wide and 200 metres (656 ft) long. It is used for tropical plants, such as fruiting banana trees, coffee, rubber and giant bamboo, and is kept at a tropical temperature and moisture level. The Mediterranean Biome covers 0.654 hectares (1.6 acres) and measures 35 metres (115 ft) high, 65 metres (213 ft) wide and 135 metres (443 ft) long. It houses familiar warm temperate and arid plants such as olives and grape vines and various sculptures. 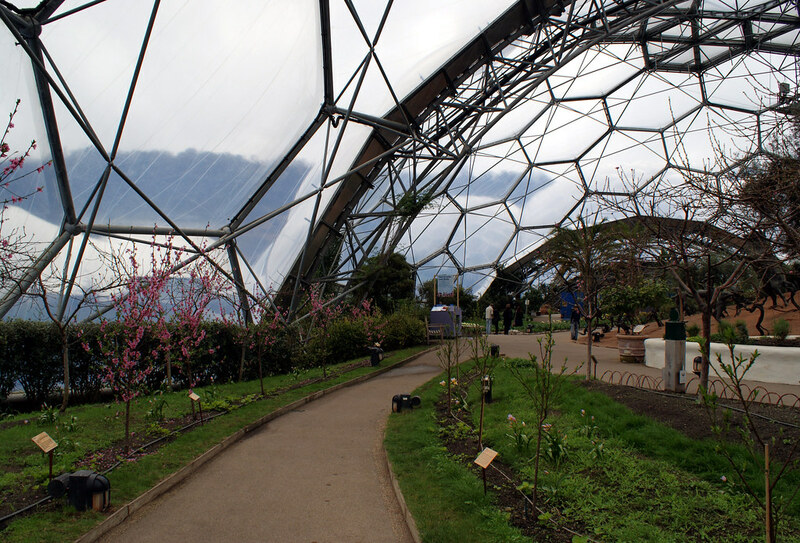 The covered biomes are constructed from a tubular steel (hex-tri-hex) with mostly hexagonal external cladding panels made from the thermoplastic ETFE. Glass was avoided due to its weight and potential dangers. The cladding panels themselves are created from several layers of thin UV-transparent ETFE film, which are sealed around their perimeter and inflated to create a large cushion. The resulting cushion acts as a thermal blanket to the structure. 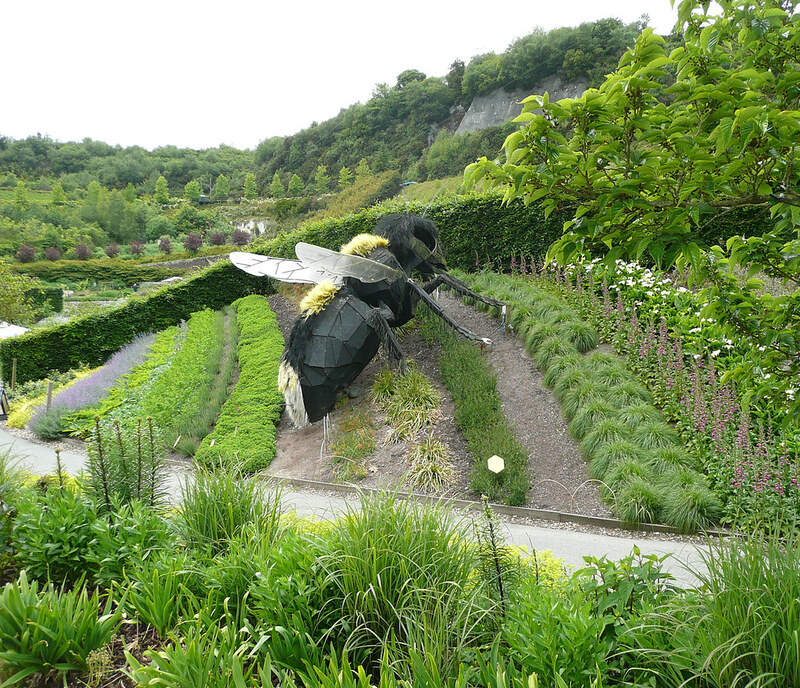 See More at the Eden Project’s Official Site!